Come join us to make this fun gift! 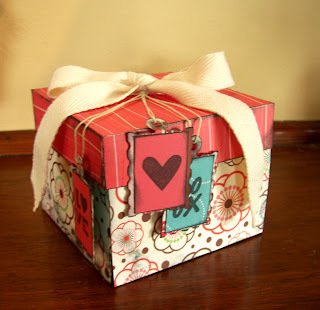 You will learn to put together this "exploding" box that falls open to reveal 20 photos or love notes. We will also use the new Cricut machine to make the tags on the lid. A sample is available at the store for preview. Call 507-451-3920 today to register or for more details. 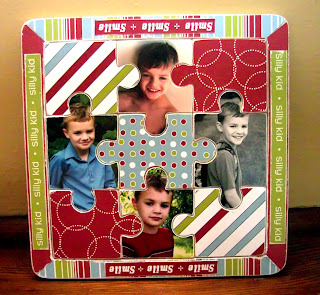 Transform a simple wooden puzzle in this fun and easy project. It is a great way to feature photos in a unique way. Space is very limited! Call 507-451-3920 today to register or for more details. 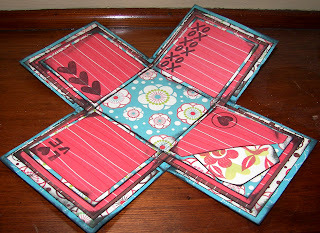 Puzzle based on project by Tammy Tutterow. Both of those are very neat. You are so creative. Do you ever teach classes for Community Ed? I have not yet, but I would like to...someday. I looked into it once, but you have to plan months in advance. I'm not that great of a planner I guess. Skye- I found you from your psot at 2peas in MN! You are SO talented! I love all the photos you have shared here on your blog! I will definitely try to get down to your store sometime? the 3 day crop is close to the fundraiser crop I am helping with so I doubt I can be away again BUT I will keep your store blog in my favorites!